Two frozen desserts in a row? 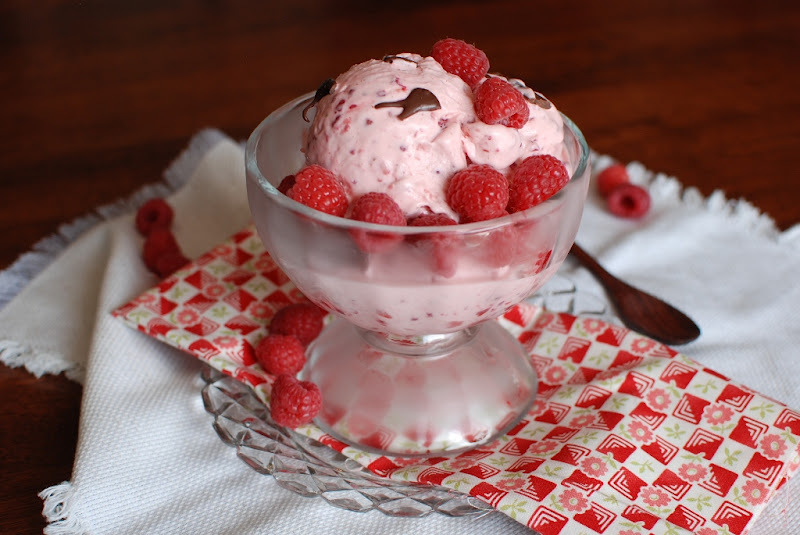 I’m gearing up for Father’s Day and the father in my house loves raspberry chocolate chip ice cream. 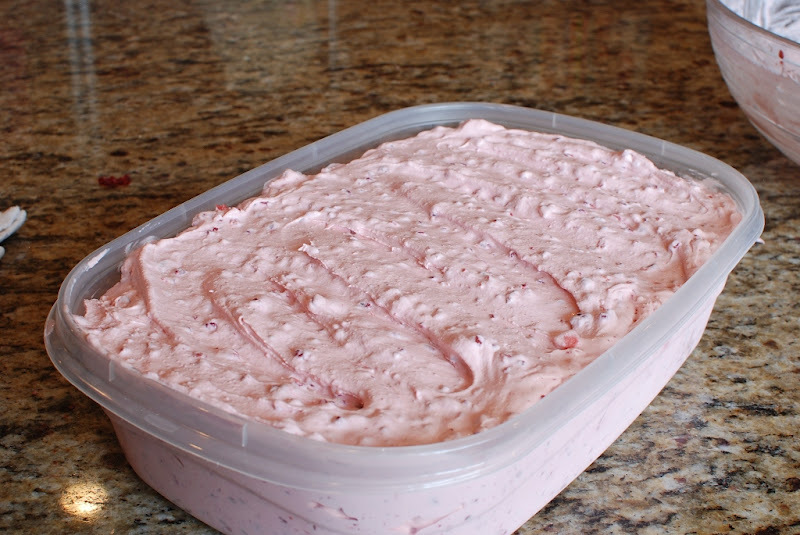 Every time I make and serve this dessert I am asked if it’s homemade ice cream. I have made this dessert by the gallons literally! I served this ice cream to 250 youth and parents in waffle bowls. Everyone thought I had made homemade ice cream. I decided to let them think what ever they want. Homemade it is…kind of. 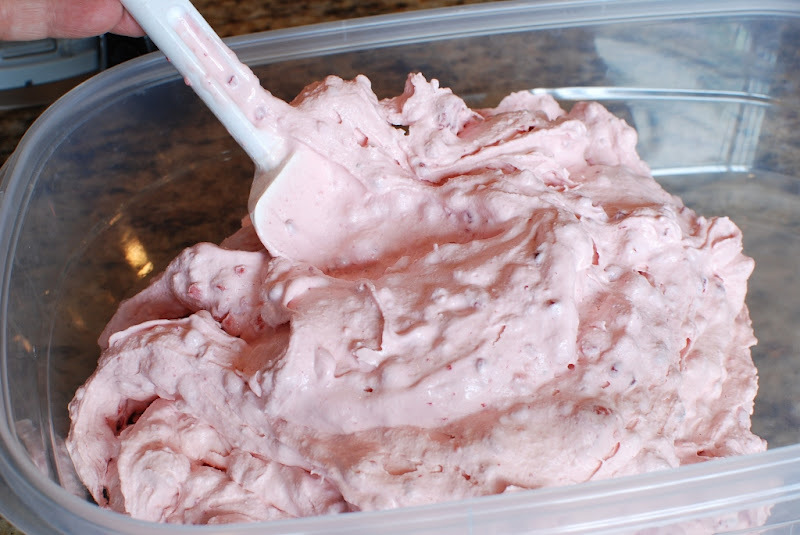 You will need 1 1/2 quarts of a good quality Vanilla ice cream and 1 1/2 quarts of Raspberry Sherbet. Give or take on the quantities. What the heck? 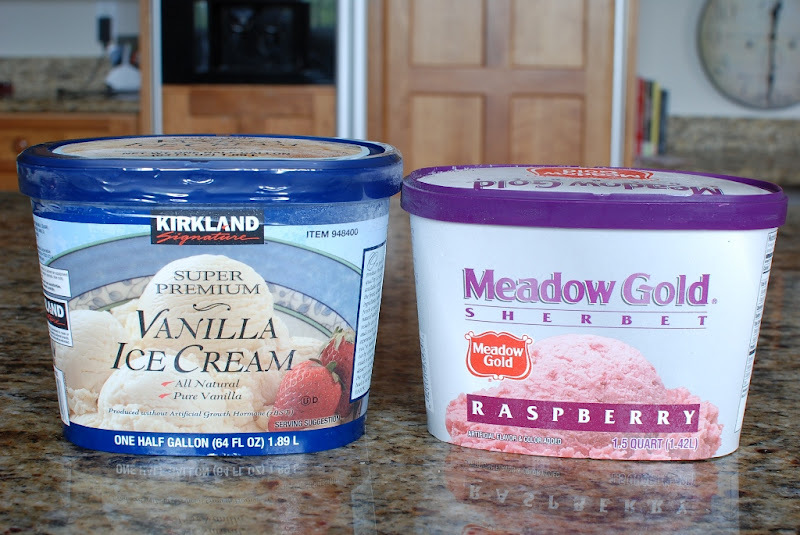 I rarely buy ice cream and was shocked at the difference in quantity. 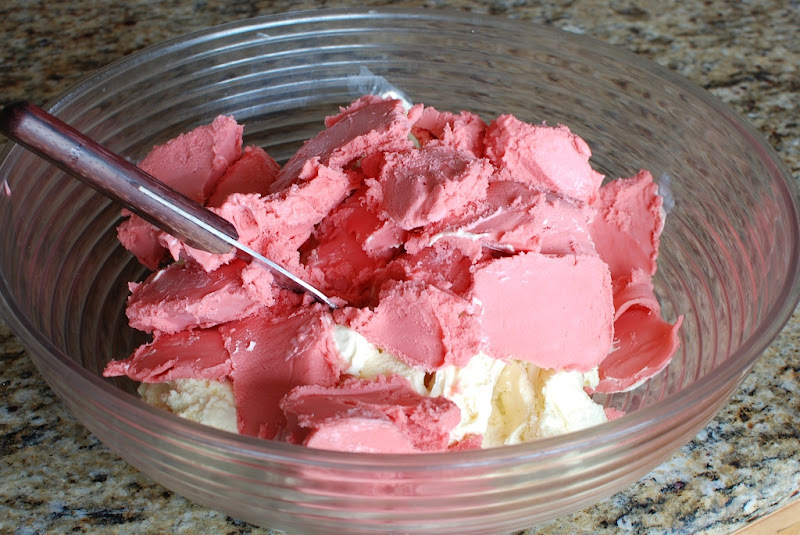 I had a difficult time finding raspberry sherbet…really? I purchased what I could find. 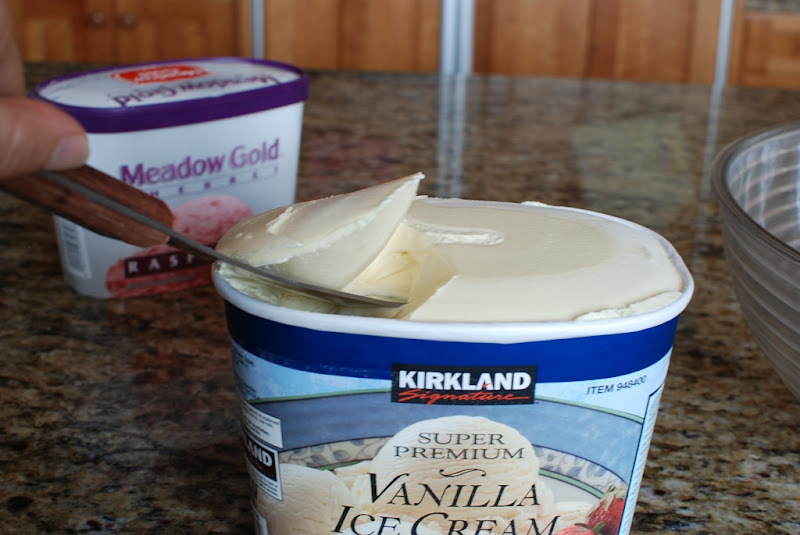 I must say that I think Costco Kirkland brand of ice cream is quite rich and creamy. Who knew? 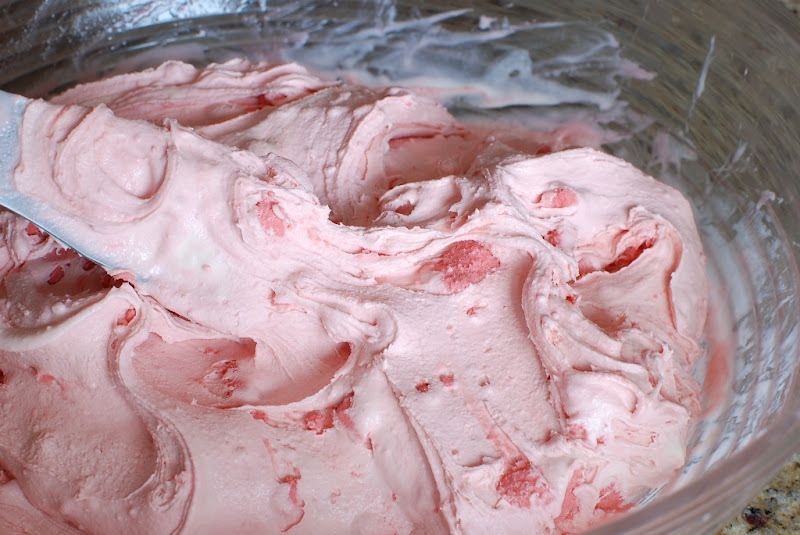 I would highly discourage buying cheap foamy ice cream for this recipe. After all, it is homemade! You don’t have to use these quantities. 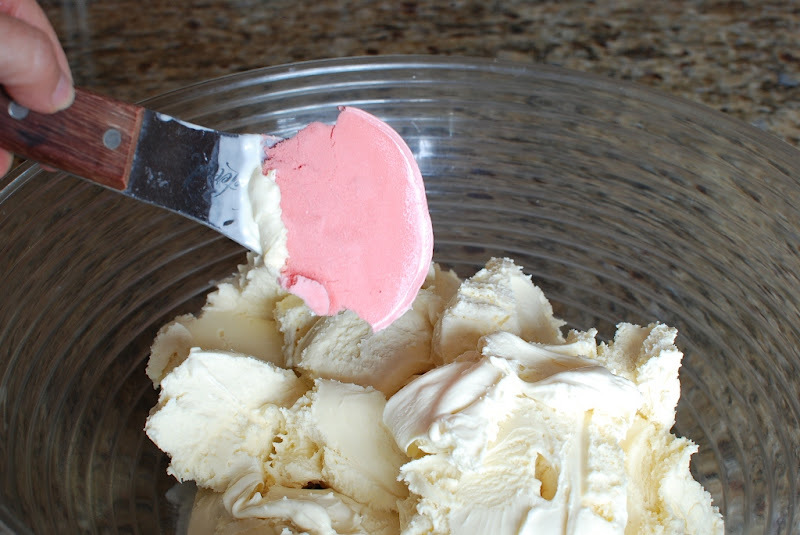 You just need equal amounts of both ice cream and sherbet. You can make the batch smaller or larger. You will, also, need one package frozen sliced strawberries and one package frozen raspberries. Who knew the quantities for these items would vary as well? Get at least 12-16 oz of each. 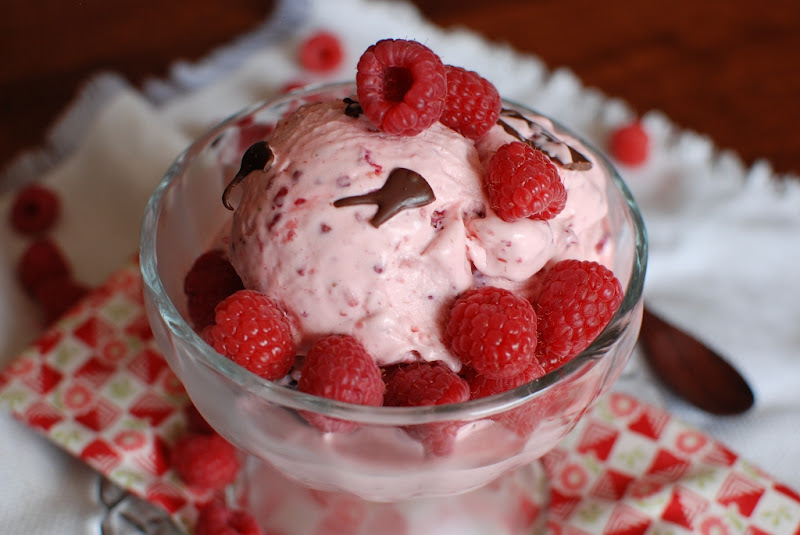 Soften the ice cream and sherbet. 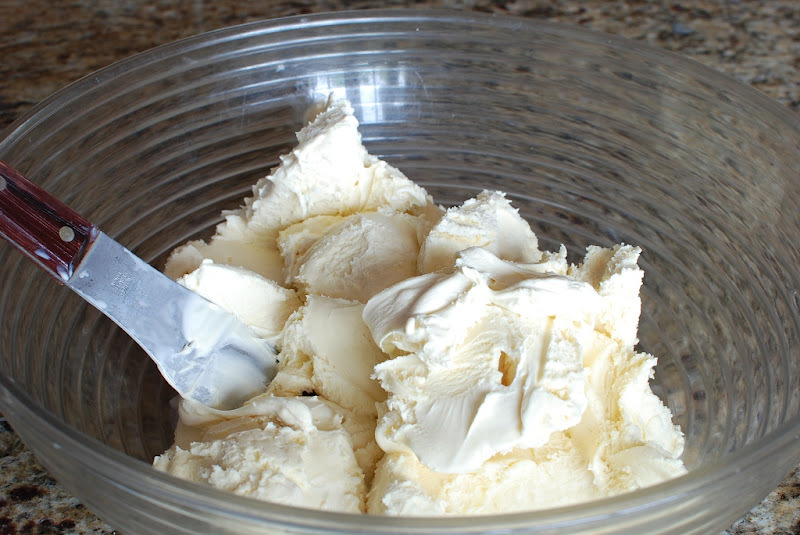 Scoop the vanilla ice cream in a HUGE bowl. 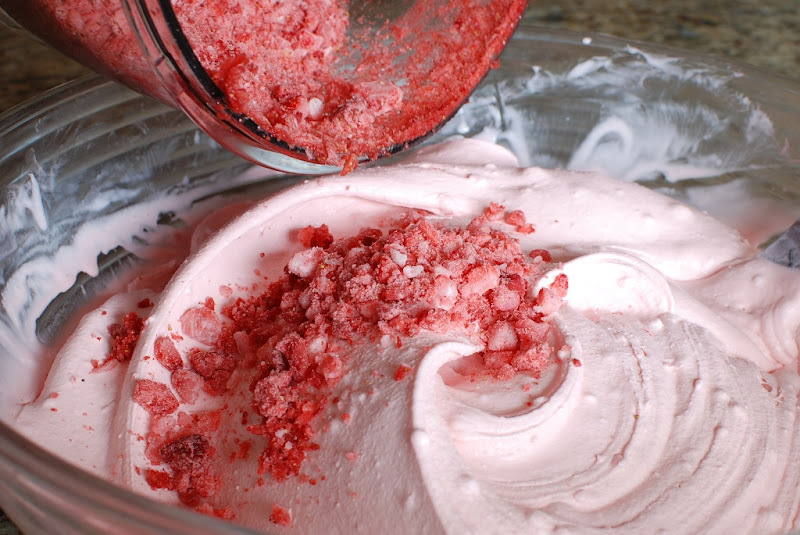 Now scoop the raspberry sherbet into the same bowl. This is the hardest part of the recipe. You will need brute strength and muscle endurance. I begin by cutting and chopping at the frozen mass. 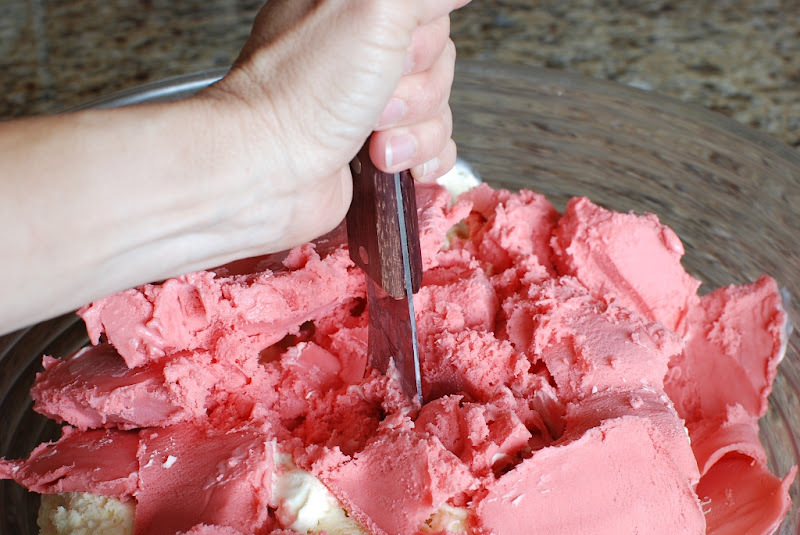 Begin to mix and incorporate the ice cream and sherbet together. Keep stirring and stirring and stirring. Ugh! Those dang lumps of sherbet. What the heck? 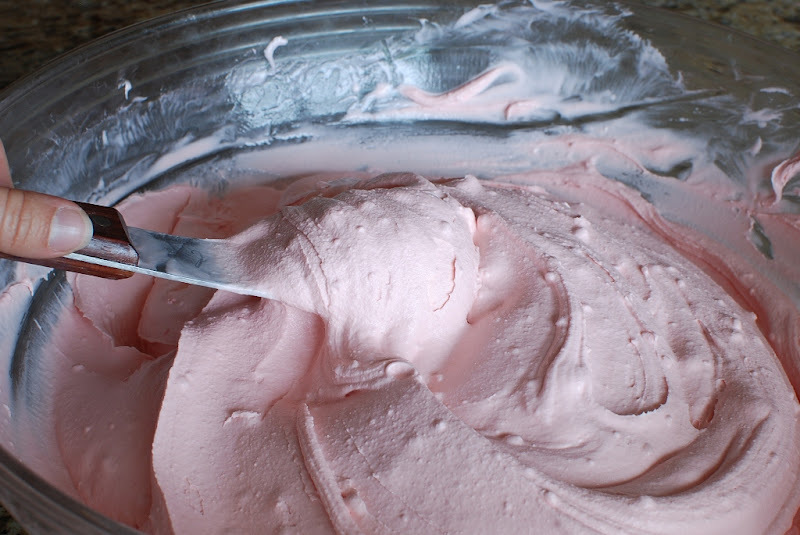 I really think the mixing and stirring takes out the air and makes the mixture more dense almost like a gelato. 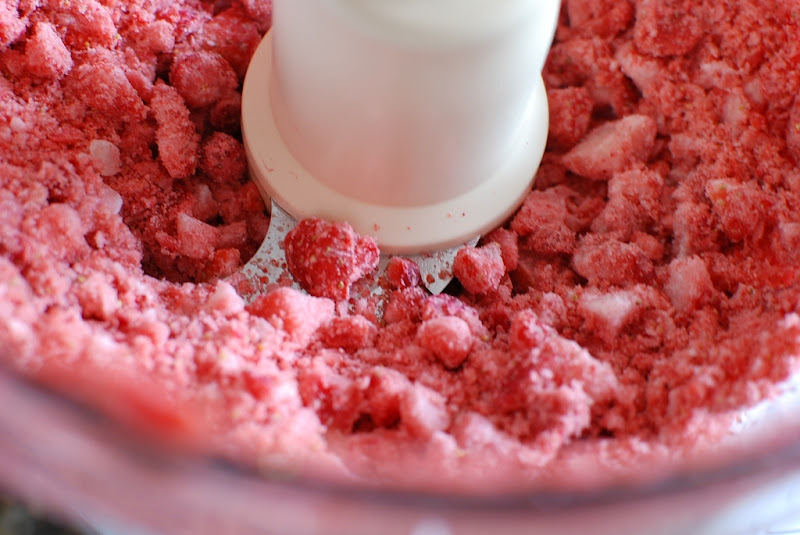 In the bowl of a food processor fitted with a metal blade, add the frozen strawberries. Pulse several times until the strawberries are the size of peas. If they are larger, you will have a tough time biting into them when they are frozen in the ice cream. 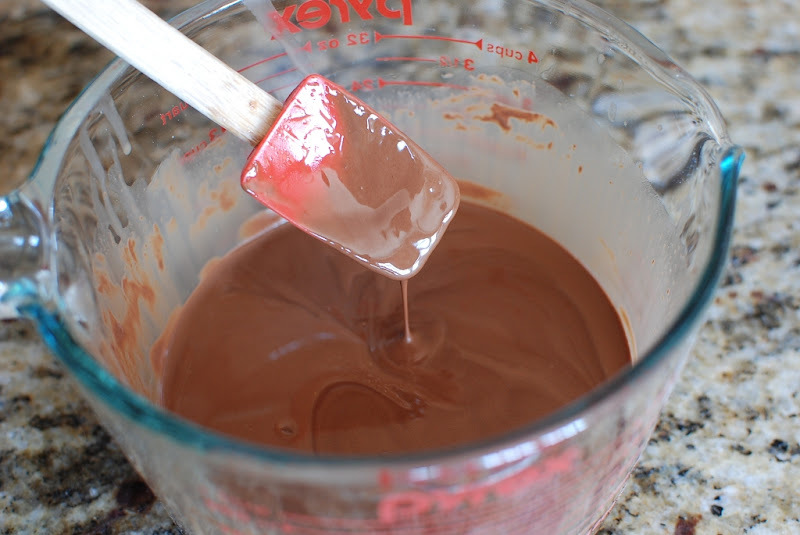 Pour over the ice cream mixture. 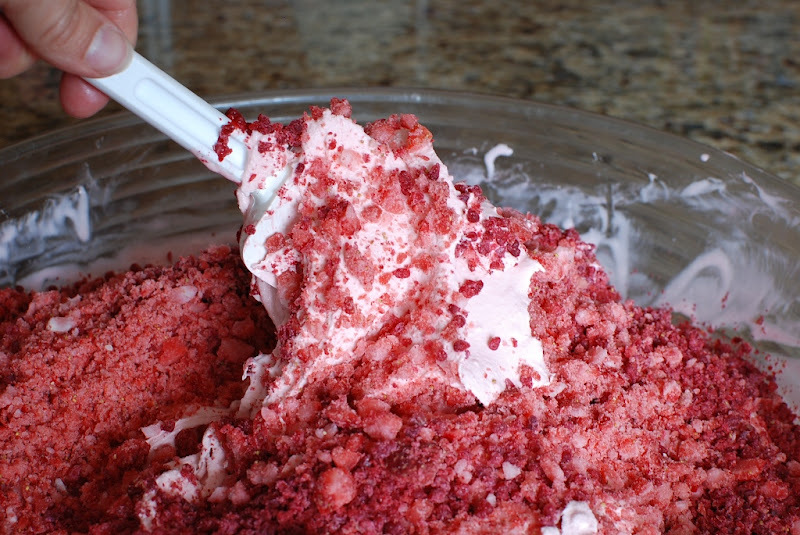 Stir in the frozen strawberries and raspberries. You should be feeling this in your shoulders and biceps by now. Transfer the mixture into a freezer container. Add a lid. Voila! Put this is the freezer and you are set with a “fauxmade” ice cream. Just for kicks and giggles I decided to try something I have never done before. 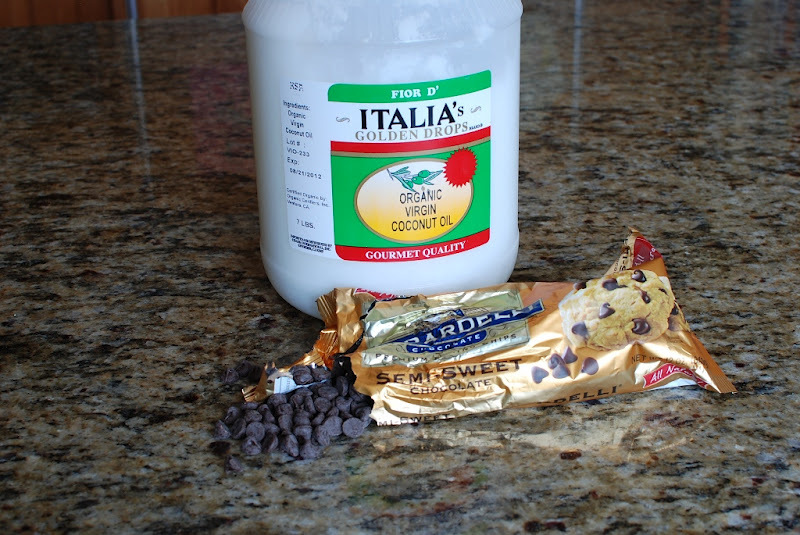 I’m going to make a chocolate topping drizzle that will harden when spooned over the ice cream. 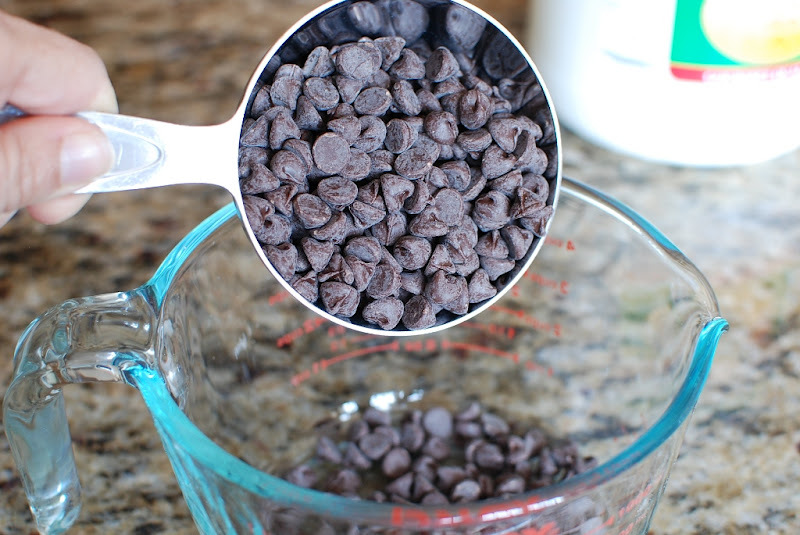 Place the chocolate chips is a microwave safe bowl. 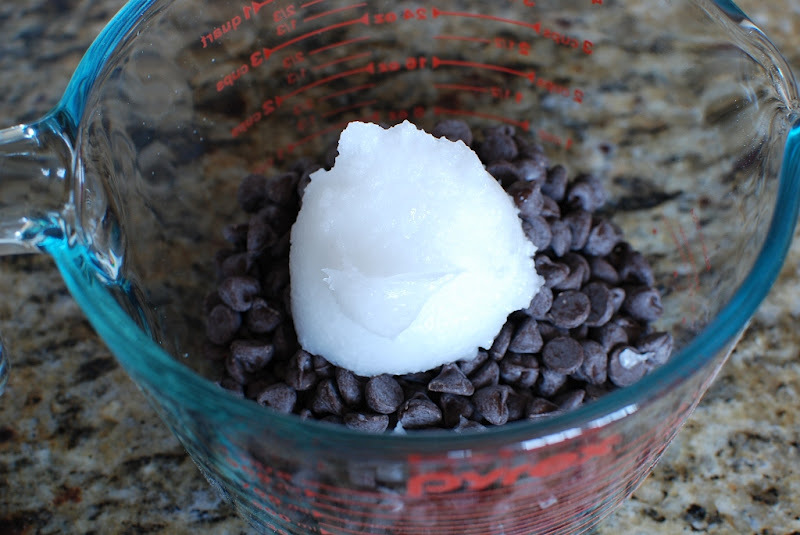 add the 2 tablespoons of coconut oil. Place in the microwave for 60 seconds. Remove and stir until smooth. Drizzle over the top of the ice cream. This will give the ice cream just a little chocolate bite. NOTE: I only drizzled half of the mixture over the ice cream. I’ll reserve and reheat the other half for when I serve the ice cream. Someone just might want an extra drizzle or two. This is so cool! 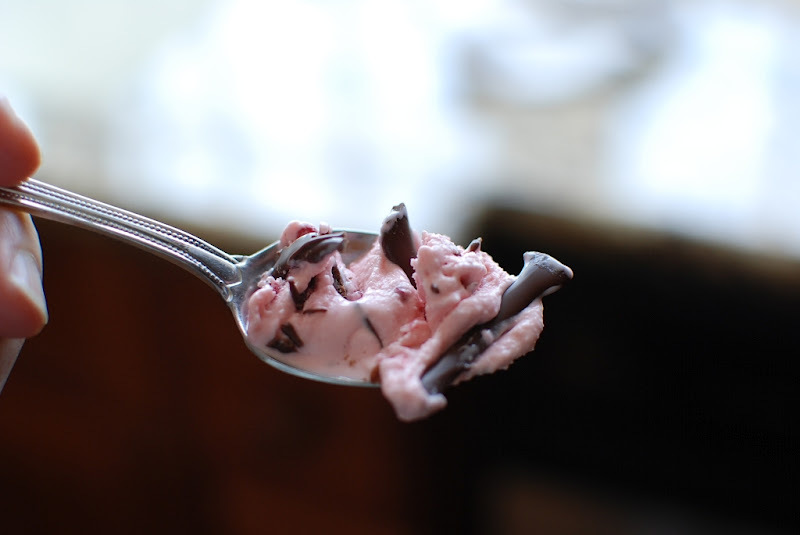 The chocolate just breaks and cracks as the ice cream is scooped. 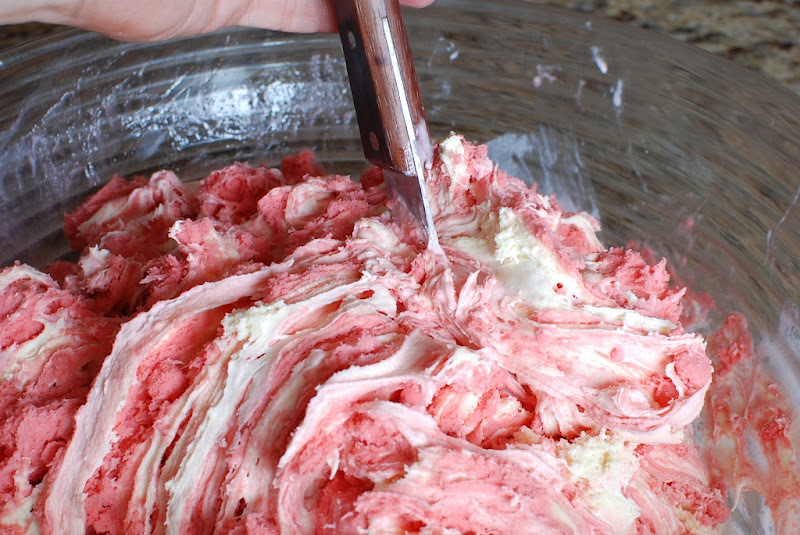 In a very large bowl, stir the ice cream and sherbet together until smooth. 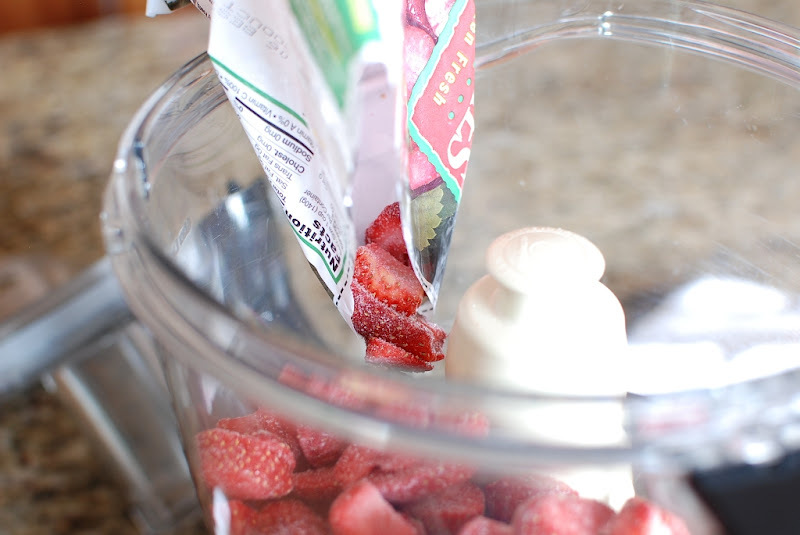 In the bowl of a food processor add the strawberries and pulse until they are the size of peas. 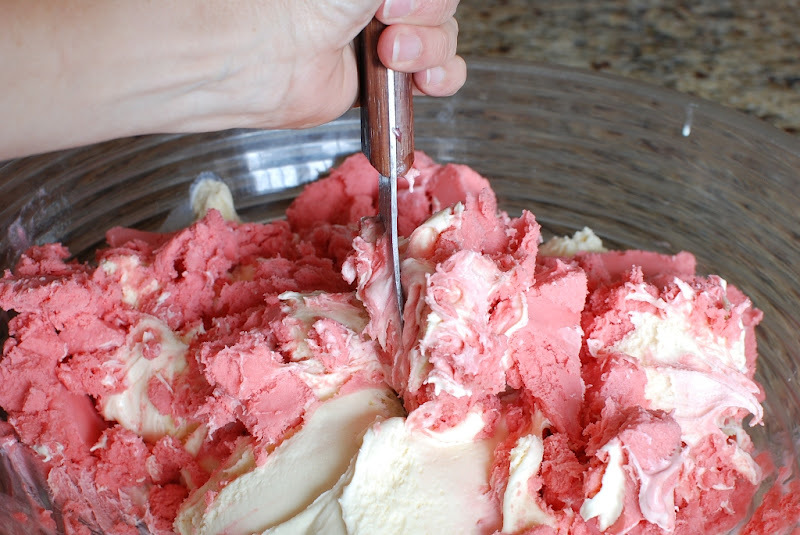 Pour over the ice cream mixture. 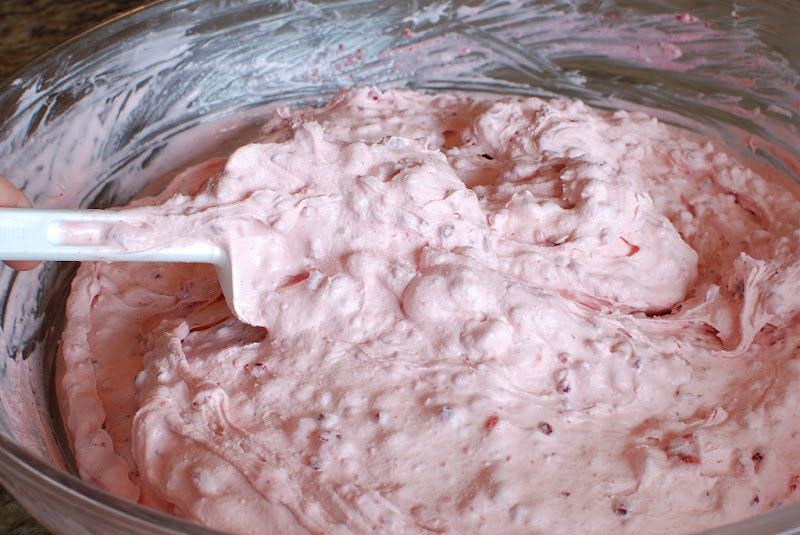 Repeat with the raspberries and add them to the ice cream mixture. 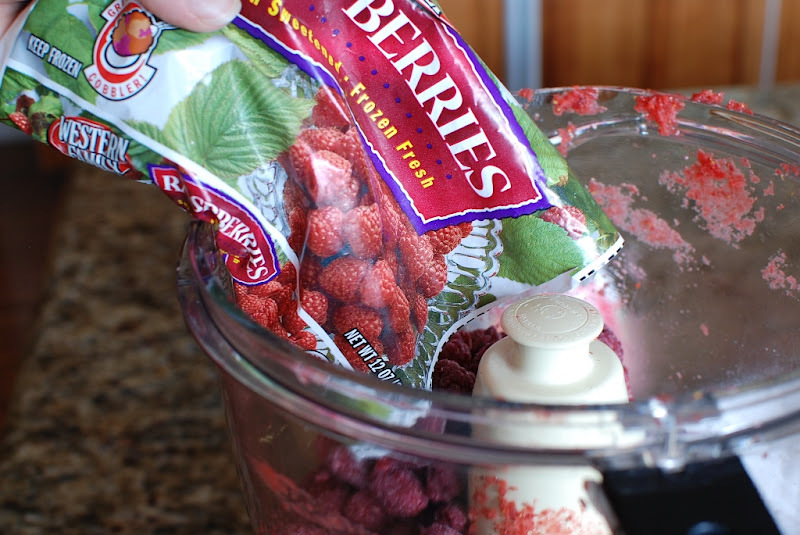 Stir until the frozen berries are mixed in well. 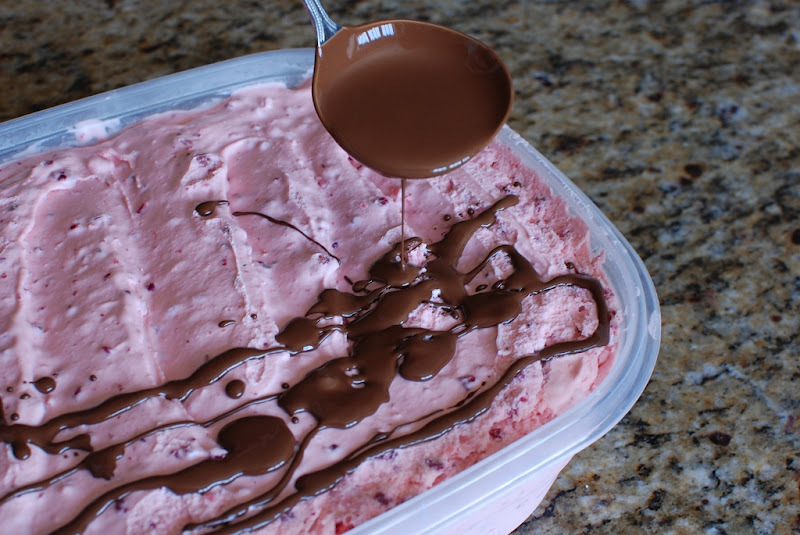 Spoon into a freezer container and freeze until ready to serve. Makes a lot! 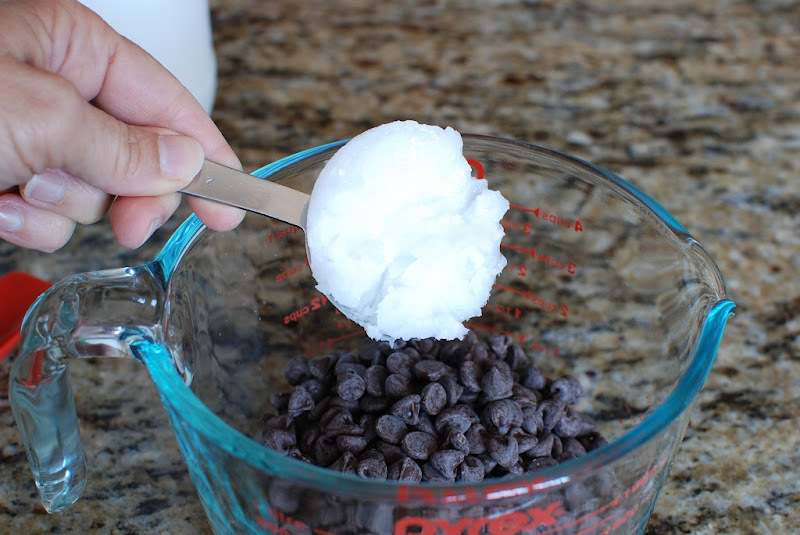 Add the chocolate chips and coconut oil to a microwave safe bowl. Microwave for 60 seconds. Stir until smooth. Drizzle over cold ice cream. 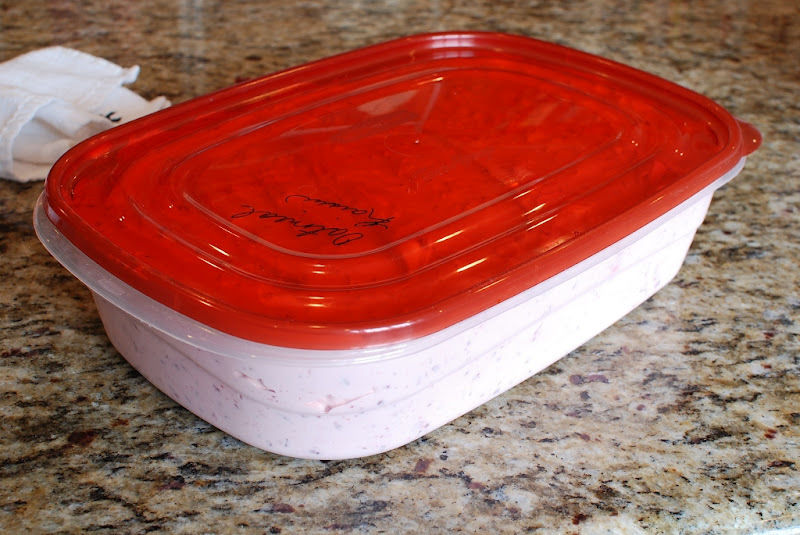 Leftovers can be refrigerated then reheated. Makes about 1 cup of topping. this is one special and very clever dessert treat for guests. I use a Nikon D80 with a 35mm lens. Sometimes I use a 50mm lens. This camera makes me look good. Trust me it's not the photographer. Looks just great. thanks for the repost and sending folks my way. Love your blog and love anything I can make myself. I had to laugh as I saw this post. I make a Frozen Lime Pie dessert that everyone clamors for the recipe. 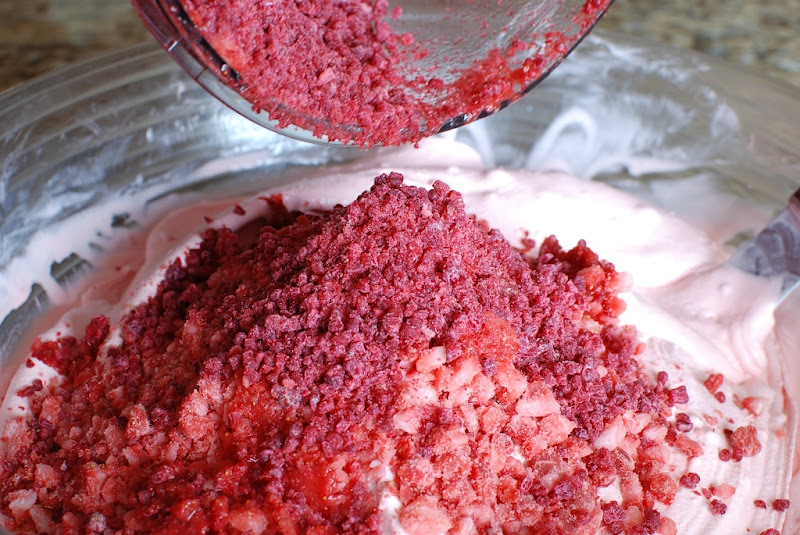 It is one thing of lime sherbet, softened and spread into a pre-made graham cracker crust. Re-freeze, and then when you're ready to serve, make Reddi-whip mounds on each piece and sprinkle with graham cracker crumbs. I literally made it up when I was about 15 years old and short on a dessert for my turn at dinner; my family asks for it *every time* we get together. Hahaha. Great story. That sounds so great and refreshing. I'll have to try it out. thanks for sharing. Just added you to my reader because I found your easy bread recipie on Pinterest. But I have to say I love your Bliss napkin. Are you a quilter/sewer too? Hahaha I wish I were a quilter. I love to purchase quilting fats from a local quilting store. They come in handy. I would love to start quilting. I used to quilt, but just got too busy with other things. I just love the beautiful quilting fabrics available. You obviously know your fabric and must quilt. Way to go. hi janet! what is your email address? i have a question for you about hiring you to bake some cakes!! I have a pretty booked summer, however. I have a daughter getting married in Aug. So much to do. Sure go ahead with the re-post. I had totally forgotten that you had asked. haha. Just let me know when. BAHHHHH!!! No you can't. You have to build your own. I'll pick you up at 5:55 a.m. tomorrow! Janet… You are a magical genius!!! 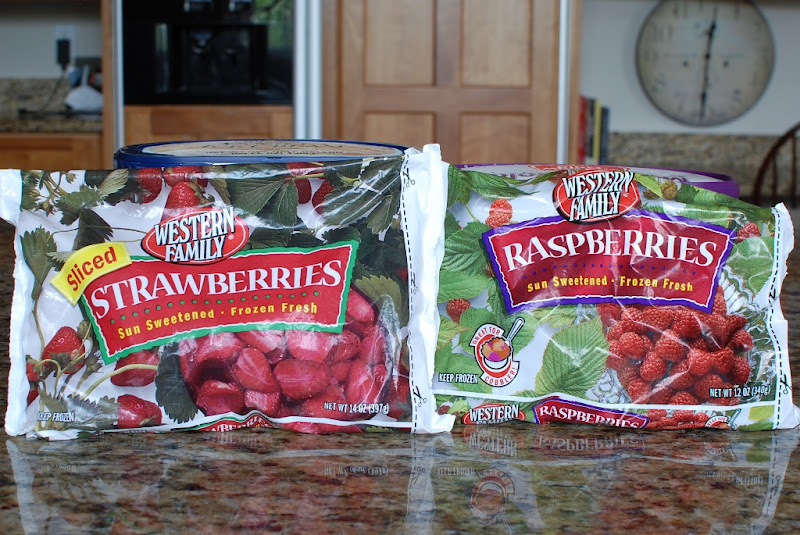 This is so much easier and cheaper ( I'm positive) than my six quart homemade raspberry recipe. You have just saved me hours this fourth of July!!! One problem, I don't have your beautifully sculpted biceps to make this… Can I borrow yours? Wow..this sounds sooo good! I love the idea of adding the chocolate drizzle. 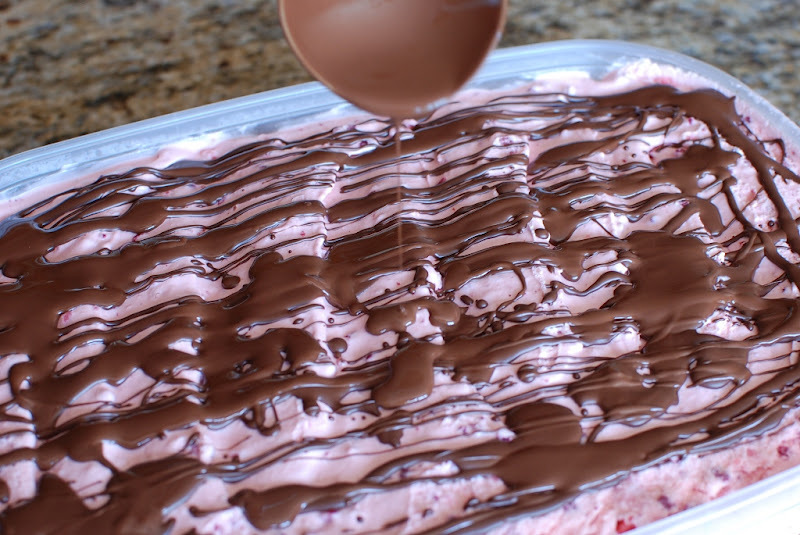 I will definitely be making this sometime this summer…can't wait to impress everyone! They should be impressed. It's delicious I keep sneaking spoonfuls out of the freezer. Okay, you just lost me on this one. 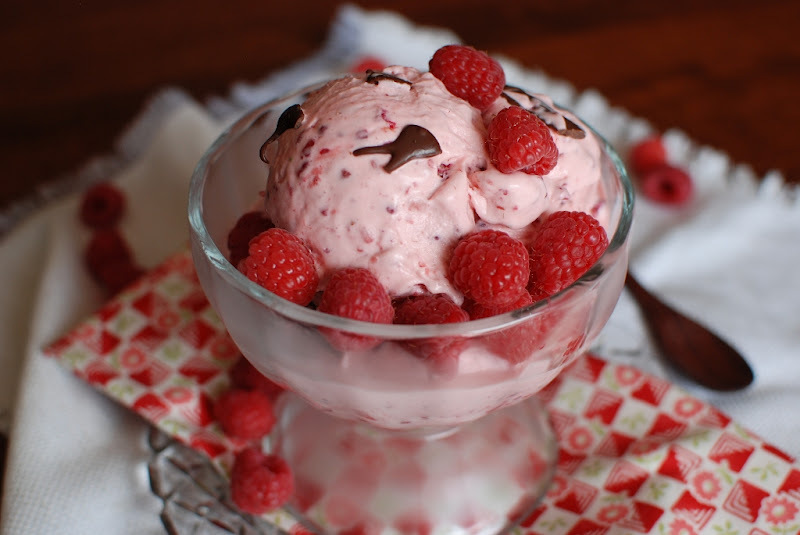 Why not just buy raspberry ice cream? Does this taste different somehow? hahaha Good question. I guess I just make life more difficult for myself. It is different actually. It does have a different texture than regular ice cream. You should do a comparison between the two. Let me know if I'm totally wasting my time. Are you trying to derail my Weight Watchers progress? Shame on you! But I did indulge in some glorious buttered toast today, thanks to the no-knead bread recipe. Awesome! Yum!!! I'm totally going to try this. Thanks for all the wonderful recipes :).